Okay, I don't know what to say here tbh. After many years of having to game on a 2012 MacBook, I decided to save up and buy a gaming PC. My friend had built one awhile back so I took his advice and put together a parts list on this website. After 3 months of saving every penny I had, checking for deals and sales daily, and changing this parts list based on budget/sales. 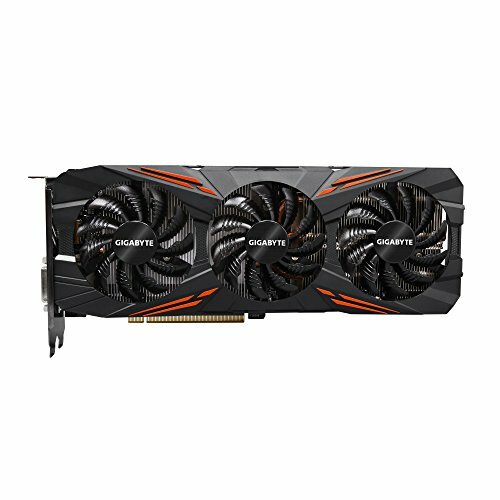 The very first component I bought was the GPU, when it was on sale on Newegg. Almost every component here was bought while on sale. After everything had arrived, I gathered my friends together, including the one who originally inspired me to build a gaming PC, and we built the thing. CPU and RAM went in nicely and without issue, the CPU cooler took some fiddling but eventually we got it. Then we put the motherboard in the case (the top screws were annoying to screw in), installed the GPU and the drives, and plugged it all in. Later on we realized the GPU and RAM weren't seated properly, so we had to adjust that. Eventually we got it to boot into the BIOS. Cue cheering all around the room. We installed Windows 10 and started installing games. Minecraft was the first thing we tried since it's easy to set up. Even on an amplified world, with all settings at max, it still was constantly over 100FPS. My old MacBook could barely pull 60fps on a superflat world with settings at medium, so this made me realize just how nice it is to have a powerful PC. Next we tried overwatch. The download took a really long time since my router is on the other side of the house, but eventually it worked. Max settings but still almost always 110fps+. I will post cinebench and other benchmarks later. I am planning on overclocking but I need to learn more about it first. The build itself wasn't too tough. Just remember, read the manuals and check everything before booting up. If three excited fourteen year olds can do it in the span of 4 hours, you can too. UPDATE 4/5/17: I now have three WD Green 2 TB HDDs installed along with my original SSD. I have also overclocked the 6600k to 4.4GHz, the RAM to 2800MHz, and the GPU core clock to 1300MHz and memory clock to 2000MHz. Also improved cable management a bit both on the desk and inside the case. I also bought a better mouse and keyboard, they will be coming in the mail soon. PC is running great. Love using this thing every day. If you guys want I will post more pics. UPDATE 4/23/17: I now have five different WD Green HDDs installed along with the original SSD. Had to take out the little seagate drive to free up a sata port lol, and also had to buy 5.25 to 3.5 adapters plus a sata splitter. the 2 new drives are in RAID 1 configuration which I'm using to back up my family's photos and my personal files. I have overclocked even further now, with CPU at 4.6 (4.8 caused BSOD and crashing), RAM at 3200, and GPU at 1370 core/2100 mem. 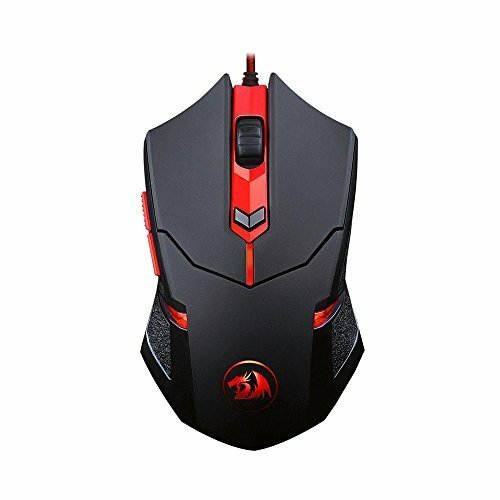 I also have a Redragon M601 Centrophorous gaming mouse and a Redragon K552 Kumara keyboard which I am typing on right now, feels great and love the clicking. I also bought a red/black extended mousepad which is also nice. I found a second monitor (Samsung SyncMaster BX2035) at goodwill for $20! 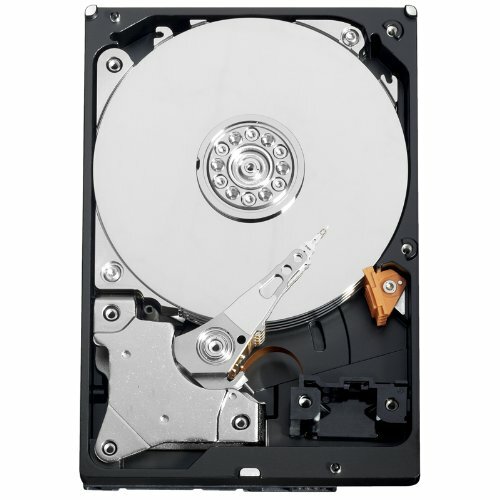 PCPartPicker doesn't have it listed so I chose the closest thing. It's a little scratched but works great and actually has better looking colors than my primary monitor. Had to move around some stuff on my desk to make room and had to buy an HDMI to DVI adapter since my RX 480 only has one DVI port that's being used by my primary VG2228wm. Still haven't fixed the overclocking glitch thingy. Well, guys, I did it! I sold my RX 480 for $318 and bought a GTX 1080 with the money from selling the 480 plus some extra cash my grandpa sent me for my birthday. Had to use the integrated Intel HD 530 for a couple weeks because I was waiting for 1080 prices to go down. Now I can finally get back to using 2 monitors again. My next upgrade I have planned is a 1440p/144hz monitor or a 4k monitor, not sure yet. But for now, 1080p is fine, since I spent all my money on the 1080 anyway XD. I also bought some cheap Logitech speakers from goodwill because the built in monitor speakers are pretty garbage. My cable management is still garbage but I tried to improve it a bit. It's hard having 6 different SATA devices at once. My headset broke, so I guess I'll ask for a new one this Christmas. Other than that everything is running as expected. New build coming soon for my friend. It's a CPU. It does what it's supposed to do. It's very fast and with a good cooler temps are well within safe range. I haven't tried overclocking yet but I will as soon as I learn more about it. 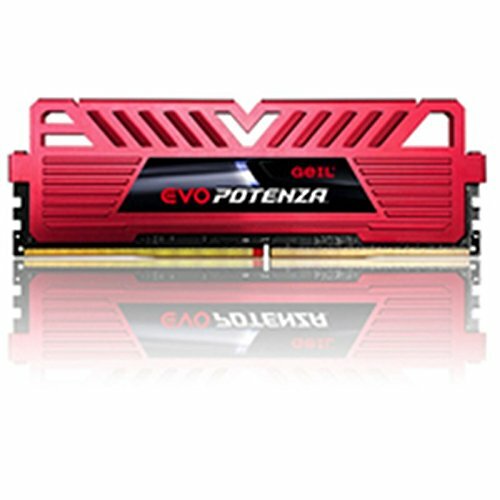 If you buy this CPU make sure you have a cooler and a Z170 or Z270 motherboard. UPDATE: Overclocked this thing to 4.4GHz with a 212 LED. Temps are in the high 30s idle and high 60s under load. This thing is POWERFUL. It cools quite well and has red LEDs. For some reason this was $5 cheaper than the 212 EVO for basically the same thing. It does fit in the Spec-02 case with about 3/4 inch to spare. Temps are 35-40 degrees idle. Under load, around 50-60 degrees C. Mounting took a little while to figure out but the instruction manual comes with detailed graphics. 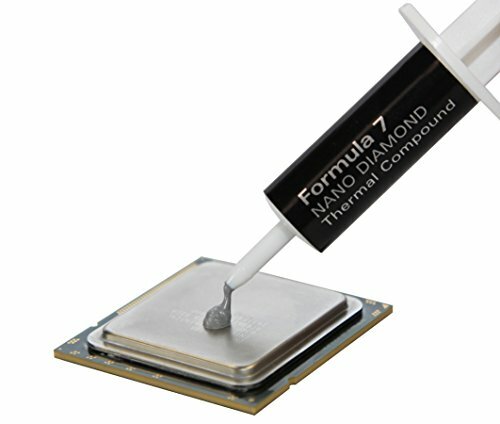 The stock thermal paste isn't great though, I'd recommend buying a separate one. 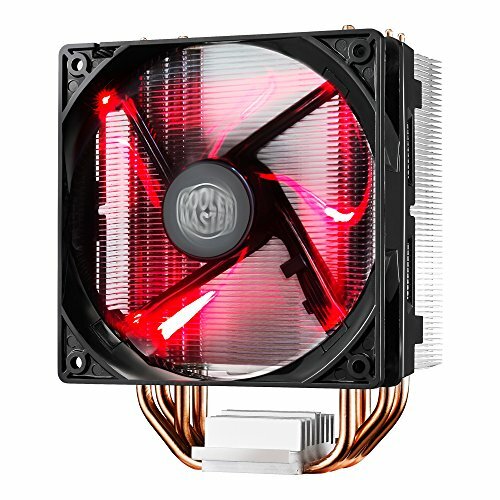 UPDATE: Overclocked my 6600k to 4.4GHz with this cooler. Temps are in the high 30s idle and high 60s under load. Friend gave me this. Temps have been great so far even with my heavy overclocks. Loving this motherboard so far! Has all the features I need at a very low price. Looks very pretty too with the metallic heatsinks and sleek black/white design. I/O shield isn't very sharp and feels solid. CPU socket is pretty foolproof and holds the processor in securely. RAM slots take a bit of a push but they do go in there. Has lots of PCIEx1 for small devices and has 2 PCIEx16 and Crossfire support in case you want more power in the future. BIOS was super easy to set up and works with mouse or keyboard. 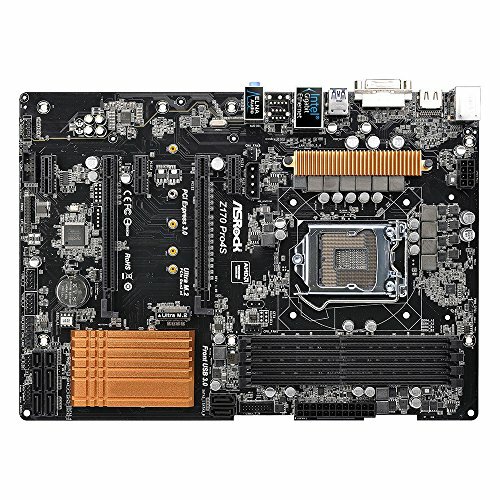 This is an amazing mobo for the price and I would recommend it to first time builders. RAM is RAM, this was the cheapest 2x4gb at the time of purchase. Has nice looking heatsinks and does what it's supposed to do. It's an SSD. Reasonably fast with around 450-500MB/S write speeds. Looks really sleek as well. My boot time is around ~6 seconds. Big, slow HDD. I use it to store my big games. I'd recommend buying a newer one. Got it used from a friend who owned a server awhile back. Big, slow HDD. I'm using the two I have in a RAID 1 array and they've been fine so far. Got it used from a friend who owned a server awhile back. Big, slow HDD. Does its job I guess. This is my backup emergency drive that I'm leaving mostly blank. Great card! Haven't overclocked yet because 550W PSU, but the cooling is amazing with it not going that much above 60C under load. It also only uses a single 8 pin connector so an expensive PSU isn't required. The RGB is pretty nice too. 10/10 would recommend, cheaper than most of the other 1080s at time of purchase. Sold my RX 480 to get this during the mining craze and it absolutely blows it out of the park. GeForce Experience is nice too. I haven't really had the best experience with this case. The side plate that slides off came dented, but I did get a $15 refund for that. Cable management is decent but it does get cramped when building. However, the absolute BIGGEST downside to this case is that the side panel with the window scratches really easily and is RIDICULOUSLY DIFFICULT to put back onto the case. it's really hard to get it lined up with the little notches, and it's really easy to scratch the window. It does come with two fans, so that's a plus, and it has more than enough drive bays of all sizes. Great PSU. 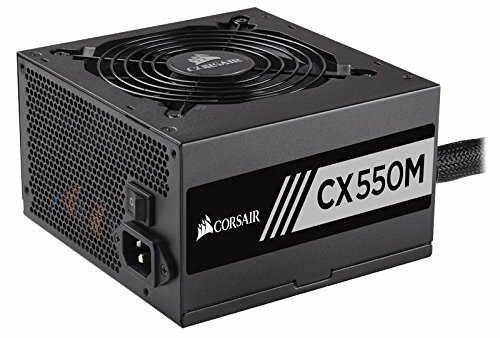 Semi modular 550W 80+ for only $60. 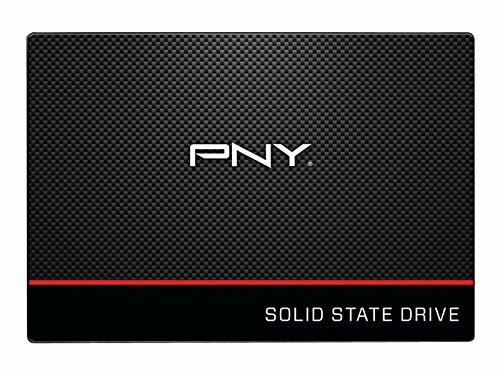 You don't want to cheap out on the PSU, and this is a good option for mid range PC builds. The only cables that don't detach are the 8 pin CPU connector and the 24 pin motherboard connector, but as another reviewer said, you need those anyway. It's windows. IDK what the difference is between Pro and Home but when I bought it, PRO was cheaper. 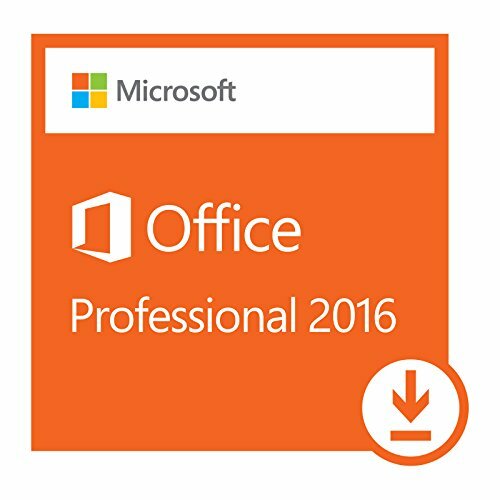 It's Microsoft Office except newer. Been using an older version for years and this new version is pretty nice. It's a monitor, I got it refurbished for $82. It looks nice and does its job. The stand is adjustable and the whole thing feels really stable and well made. Cables are facing the ground which is annoying. It also comes with speakers, though they aren't very good. Don't buy this unless you get it for 20 bucks like I did. 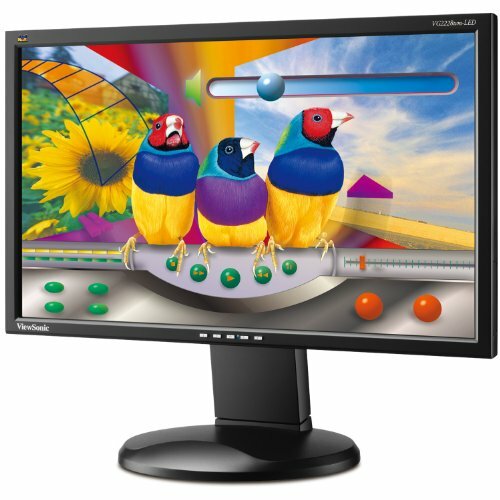 Good color quality but no adjustability at all, can't change the angle or height of the monitor. Other than that it's a nice monitor. Amazing keyboard for the price! 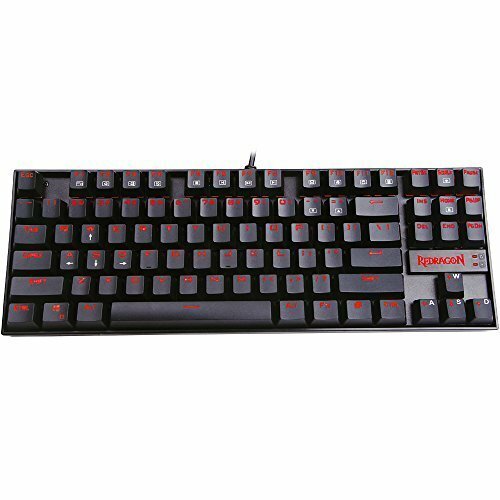 Mechanical, bright red LEDs you can control from the keyboard itself, loud clicky sound, no numpad, and comes with a keycap puller. Great mouse for the price. Adjustable DPI and 2 programmable buttons, plus red LEDs. I don't like that the light for the DPI setting can't be changed though, and I wish the cable was a bit longer. Also the LEDs stay on for some reason even if the PC is shut down. Has adjustable weights but haven't messed with that yet. Not too shabby for the price point. 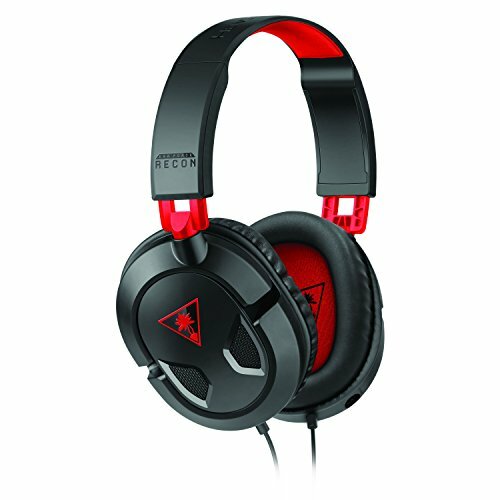 Sound quality is decent and the mic is surprisingly clear and can be taken off. Also comes with an adapter to use with PC (these are meant for Xbox One) However they are uncomfortable to wear for a long time. EDIT 12/25/17: These broke last month for no reason. Dropping a star for that. What have you overclocked the CPU to? Just thought I'd update you on this, I now have overclocked the CPU to 4.4GHz. Temps are in the high thirties/low forties idle and mid sixties under load. I bought it new off ebay, it was still in its original package with the disk. Whats wrong with it? Did I break a rule? To be honest, I don't know if it's a rule at all. I just know from looking at other builds that any Windows edition that wasn't direct from Microsoft might get you yelled at. Yeah, it came sealed in the original packaging. I guess they bought it from Microsoft, found out they didn't need it, and sold it for a lower price. What are the temps?. If you're going to do some OC you should do a stress test, It depends of the temp to know where you can put the CPU. Just thought I'd update, I overclocked my CPU to 4.4GHz and temps are high thirties idle and mid sixties under load. You inspired me SpicyMemesKid. Thank you. Yeah my build turned out nicely. It's a lot like yours with the 6600k and the Red Devil. how did you get windows for 40 dollars? eBay my dude. Just make sure the seller is legit. 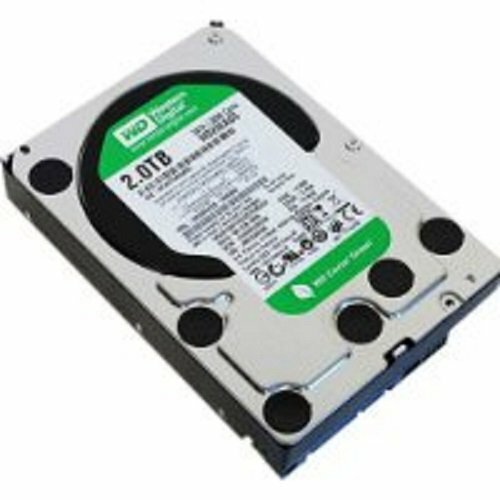 was it from here: http://www.ebay.com/itm/New-Sealed-Microsoft-Windows-10-Pro-Professional-64bit-DVD-Product-Key-PC-/262982550593?hash=item3d3afb4441:g:Y5EAAOSw44BYFXCV ??? Dude you wont believe this but we both have the same parts. I also want to thank you for clearing up the Hyper 212 LED compatibility issue with the Spec-02 Case. I just made the 212 LED purchase on Amazon and have a Spec-02 on it's way in the mail already. So when I saw the pcpartpicker incompatibility issue I had a heart attack but I'm okay now when seeing your build with ample room for the fan. I'll update when I get mine all built up. Thanks again! No prob man, good luck on the build! ayyy RXWX!!! do i know u? whyd u just comment "ayyy spicy"